Updates » Updates » Professor Yafa Zilbershatz on Gaza: “We cannot shake it off and say ‘we’re out, we’re gone, we have no obligations’. Professor Yafa Zilbershatz on Gaza: “We cannot shake it off and say ‘we’re out, we’re gone, we have no obligations’. 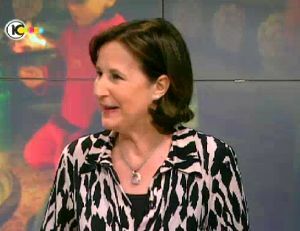 May 17, 2012: Law professor Yafa Zilbershatz criticized Minister of Environmental Protection Gilad Erdan's proposition to cut off electricity supply to the Gaza Strip in case of an electricity shortage in Israel. Prof. Zilbershatz, who was interviewed on London and Kirshenbaum on Israeli television Channel 10 (Hebrew), said that Israel was involved in an armed conflict with the Gaza Strip and that "even in the midst of an armed conflict, one is bound by humanitarian principles". According to Prof. Zilbershatz, "We cannot shake it off and say 'we're out, we're gone, we have no obligations'. This is very clear". Journalist Aviv Lavie has also criticized Erdan’s suggestion (Hebrew). In his column on Israeli media website Mako, Lavie wrote that "presenting the move to cut off power supply to Gaza as the solution for Israel's energy crisis is pure populism. Israel sells the Gaza Strip about 125 megawatts [sic – it's actually 120 MW] which are less than one percent (!) of Israel's power generating capacity". "Gaza's hunger for electricity makes our concern about possible blackouts for an hour here and there in August look ridiculous", Lavie added. "In recent years, many of Gaza's residents have been subjected to hours of blackouts on a daily basis. When there is no electricity, the supply of drinking water is also undermined and many homes have no water in their taps. Gaza's overall power consumption stands at about 350 megawatts, like Israel in the mid- 1950s. The Middle Ages". In addition, yesterday, Gisha Executive Director Sari Bashi was interviewed for a program on the Israeli Social TV (Hebrew) and spoke about the battle waged by five students in gender studies, human rights and law to travel from the Gaza Strip to study in the West Bank. The item begins at minute 7:40.